Welcome to exemsi.com. We specialize in converting executable setup programs to MSI packages. System administrators often prefer MSI over a normal setup.exe. MSI packages are better suited for software distribution through Active Directory group policies. The MSI package will report completion only when the internal setup exe installation process truly completes. The MSI package will return error codes returned by the internal setup exe file. Works on XP and above, 32bit and 64bit architectures. 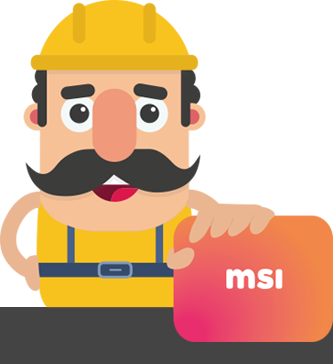 Using MSI packagers (that re-create native MSI setup kit) was not an option (due to very complex installation scripts we have), so we had to test all the MSI wrapper tools we could put our hands on. 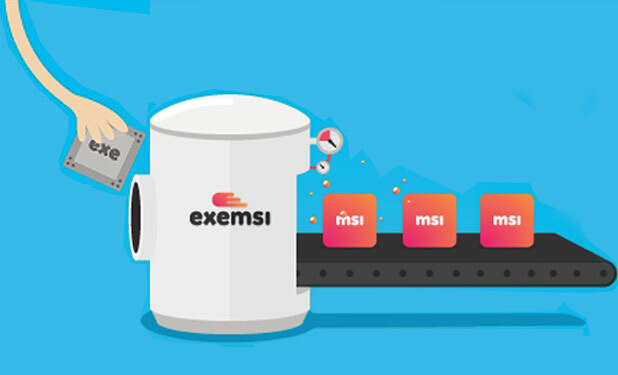 We tested a few MSI wrappers, and the only MSI wrapper that met those requirements was MSI Wrapper from EXEMSI, and by that it saved us from working a few months re-writing the whole installation script with a new setup builder tool that creates native MSI files, not to mention the cost of the other setup builder tool. The getting started guide will walk you through an example where the Firefox setup executable is wrapped in an MSI package. The resulting MSI can be used to install Firefox via group policies under active directory.